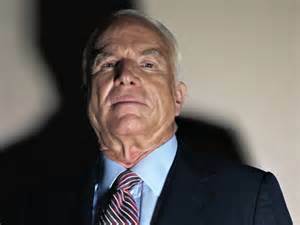 WASHINGTON (CN) – Sen. John McCain confirmed that he was responsible for giving a dossier to the FBI containing allegations of secret communications between President-elect Donald Trump and Russia. The dossier, which was originally published by BuzzFeed late Tuesday night, came with caveats that it was “unverified” or “potentially unverifiable.” The online news outlet reported that it was compiled by a former British counterintelligence official who now works in the private sector as a consultant. Trump has been in Moscow for a Miss Universe pageant. The 35-page unverified report is also said to contain a host of unsavory accusations about the President-elect’s financial dealings. The report is also said to contain incriminating allegations of shady transactions and favors exchanged between the billionaire businessman and contacts in Russia. Trump is alleged to have declined real estate deals offered to him in Russia, and that he and members of his inner circle have regularly accepted a flow of intelligence from Russia on his political rivals, including those in the Democratic party. Though McCain has made no comment about the validity of the report’s contents, it set off enough alarms for him to seek out the FBI. The report is also said to contain information suggesting that Russia had enough dirty laundry on Trump to blackmail him at their leisure and that the lewd act with Russian hookers was recorded on video without his knowledge. The reports allegedly contain errors including a false description of the Moscow city Barvikha, and the spelling of a Russian bank. FBI Director James Comey has faced intense scrutiny by members of the Senate Intelligence Committee. Comey was cagey with senators during his hearing, declining to answer questions about whether or not the FBI was investigating Donald Trump’s connections with Russia during the lead-up to the November election.